Spring hasn’t shown up yet. This is after a Winter recording record lows and snowfall all over Russia, Europe and Asia. In the Unites States, April has seen more than 1,100 snowfall records fall and 3,400 new cold records set. The sun drives 99% of our climate, and the sun is growing increasingly dormant. Some Russian scientists say this may afford us very chilly conditions for the next 200 or so years. “Global Warming”, uh, I mean, “Climate Change”!!! There I was, in the backseat of a Ford Pinto, returning to campus on a Friday evening, with fellow grad students… Bill riding “shotgun”, and the driver, Ali, in control. 50 yards from an intersection, the light turned red. But instead of applying the brake, Ali hit the gas. Thus we careened through the crossroads, barely missing a passing car, and narrowly escaping what could have been lethal damage visited upon at least 4 souls. Step in front of a train, or leap off a skyscraper, and only if it is “your time” will you be smashed to smithereens. This is known as fatalism. It was set in motion by someone of great wealth, with the benefit of higher education, and still primarily and fundamentally informed with this approach to faith. The fact that we were all friends mattered not at all. Our lives were worth nothing. Mix this brand of fatalism with a fanatical belief, and that’s how you get smart people to fly planes into buildings or set off explosives nearby small children. Not because of a maniacal, Neanderthal, and criminal approach to religion. Whether filled with C4 plastic or comprised of nails packed in a pressure cooker, heartless and inhuman Wahhabi style Islam is the fundamental mixture upon which the overwhelming vast majority of all terrorist bombs and grisly beheadings are based. It is the chemistry of Fatalism and Fanaticism that resulted in the explosive blight visited on the Boston marathon. To see it otherwise is to be in gross denial and to be seeing nothing at all. 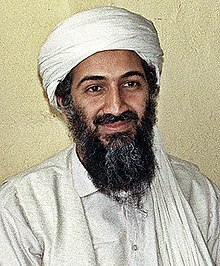 Osama bin Laden (1957–2011) was the founder of Al-Qaeda, the jihadist organization responsible for many high profile attacks, including the 1998 U.S. embassy bombings and the September 11 attacks. The 1996 Khobar Towers bombing by Hezbollah Al-Hejaz killed 19 Americans, one Saudi, and wounded 372. 26 February 1993 – World Trade Center bombing, in New York City. 6 killed. 13 March 1993 – 1993 Bombay bombings. Mumbai, India. 257 dead, 713 injured. 17 November 1997 – Luxor attack, 6 armed Islamic terrorists attack tourists at Egypts famous Luxor Ruins. 62 killed, 26 injured. 4–16 September 1999 – The Russian apartment bombings were a series of explosions that hit four apartment blocks in the Russian cities of Buynaksk, Moscow, and Volgodonsk. The explosions occurred in Buynaksk on 4 September, Moscow on 9 and 13 September, and Volgodonsk on 16 September. 293 dead, 1000+ injured. Several other bombs were defused in Moscow at the time. 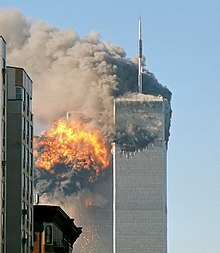 11 September 2001 – 4 planes hijacked by 19 al-Qaeda hijackers: two planes crashed into World Trade Center and one into the The Pentagon. Nearly 3000 dead. 30 June 2007 – 2007 Glasgow International Airport attack, Glasgow, Scotland; A car loaded with propane canisters was driven into the glass doors of the Glasgow International Airport terminal and set ablaze. 1 killed and 5 injured. 14 August 2007 – Qahtaniya bombings: Four suicide vehicle bombers massacred nearly 800 members of northern Iraq’s Yazidi sect in the deadliest Iraq war‘s attack to date. 23 December 2007 – The Tehreek-e-Nafaz-e-Shariate-Mohammadi (TNSM) claimed responsibility for a suicide bombing targeting a military convoy on behalf of the Tehrik-i-Taliban Pakistan. The blast in the Mingora area of the Swat Valley killed five soldiers and six civilians. 15 October 2009 – The Tehrik-i-Taliban Pakistan claimed responsibility for three separate coordinated attacks in Lahore. 10 militants targeted buildings used by the Federal Investigation Agency (FIA), the Manawan Police Training School and the Elite Police Academy. 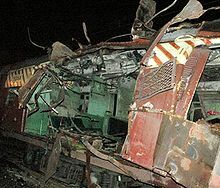 14 February 2010 – 2010 Pune bombing, Pune, Maharashtra, India. 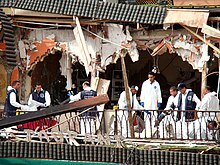 bomb blast ripped through the city’s popular German Bakery, close to the Osho Ashram and diagonally across from the Jewish Chabad House killing 17 people and injuring 65.Maharashtra Anti-Terrorism Squad (ATS) claimed involvement of Pakistan based Lashkar-e-Taiba’s (LeT).Police arrested Mirza Himayat Baig Inayat Baig,who allegedly heads Lashkar-e-Taiba’s (LeT) module in the state.ATS has also arrested Bilal Baba Hussain Fareed Shaikh (27).In its chargesheet filed in a Pune court, the ATS has also named six other accused – all co-conspirator and absconding – Mohsin Choudhary, Yasin Bhatkal, Riyaz Bhatkal, Iqbal Bhatkal, Faiyaz Kagzi and Zabihuddin Ansari. 28 May 2010 – Attacks on Ahmadi Mosques Lahore, Pakistan. Tehrik-i-Taliban Pakistan claimed attacks on two mosques simultaneously belonging to the Ahmadiyya Muslim Community, killing nearly 100 and injuring many others. 28 April 2011 – 2011 Marrakech bombing, Marrakesh, Morocco. A suicide bombing struck a cafe in Djemaa el Fna square, killing mostly foreigners and several Moroccan’s, in the centre of Morocco’s southern city of Marrakesh, which is located in southern Morocco. 16 dead and at least 20 injured. The attack was attributed to the Moroccan Islamic Combatant Group. 30–31 July 2011 – 2011 Kashgar attacks, Kashgar, China. A series of busy markets and restaurants were attacked by the East Turkestan Islamic Movement in the city of Kashgar, by carbombs and stabbing attacks, killing 23 and wounding 42 people in total. 20 March 2012 – 2012 Midi-Pyrénées shootings in Toulouse, France Algerian gunman on a motorcycle kills 4 at a Jewish school. 7 dead, 5 injured. My niece ran in the Boston Marathon, and was fast enough to finish a few minutes ahead of the horrific explosions that, with ferocity matched in depravity, took life and limb. Truth is, there are some groups I’d rather the malevolent monsters were connected to. Still, regardless of the labels, the criminals associated with this heinous crime are, indeed, associated with me, nay, with all of us. Indeed, without one iota of direct evidence, I can say for certain that the prime movers behind this disaster are human beings, not robots, or machines. Even so, I cannot imagine what grotesque malady must overtake a person, enabling them to visit such wanton destruction on those who just happen to be in the vicinity of the detonation. Would they mind if it was their mother, their son, their infant, toddler or lover who, by chance, wandered into the blast zone? How is it a human being can be so inhuman? Of course, as in any terrible tragedy, with far more manifest evidence at our disposal, we are also left wondering, whether in uniform or civilian dress, how mere human beings, under enormous duress, can be so heroic, so compassionate? Yes, as it always seems to be, evil can be extreme, but it pales in comparison to the instant and indellible good we all too often take for granted. Depravity cuts deep. Too deep. But it only succeeds in revealing unfathomable virtue that immediately sustains on scene, and endures far beyond. Not for a few, but for us all. The Walking Dead, on AMC, is an amazingly alluring drama, even though it’s a rehash on a theme as old as The Night of the Living Dead. In this series, one is exposed to people having their flesh ripped open by blood spurting ghouls, “biters” being beheaded, and all sorts of extreme violence graphically enacted with shovels, picks, hammers and booted feet. But, in scenes depicting love, no blatant sexual imagery is allowed. Not a whole lot of skin, and no breasts. No curses pass the lips of the actors either. Personally, I cursed more changing the oil on my Chrysler LeBaron, with the 2.6 Mitsubishi engine, in 5 minutes, than 3 whole seasons of zombies dining on decent human beings, who seemed rather likeable, if only they’d lived. Our American TV is weird. You are currently browsing the BillKeane Perceptions blog archives for April, 2013.